Science is all about experimentation, and one of the more spectacular experiments in the movement of Colorado River sediment is set to begin in a matter of days. Beginning November 5, the Department of Interior will begin a High-Flow Experiment (HFE) release of water out of Glen Canyon Dam, slowly ramping up the volume to 38,100 cubic feet per second, which it will maintain for 60 hours over three days. 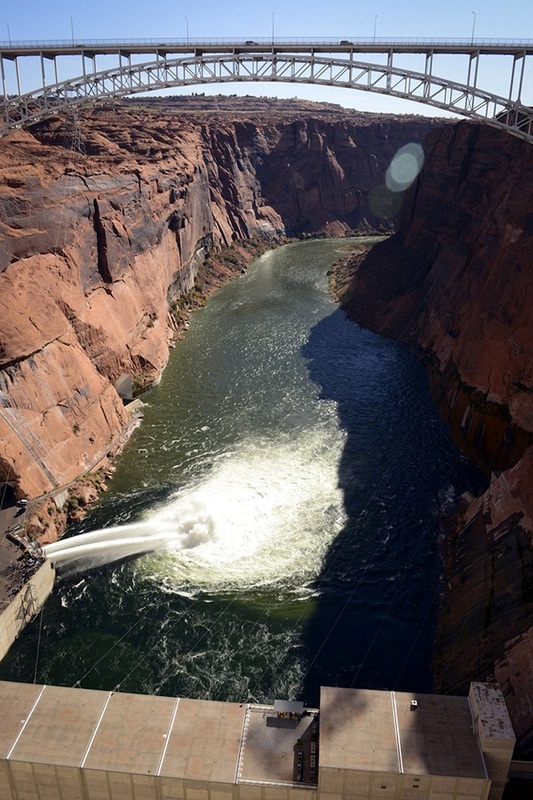 The forceful water release is intended to mimic the floods that once drove enormous volumes of sand through the river canyons prior to the construction of Glen Canyon Dam, which rebuilt eroded sandbars downstream. Those reconstituted, enlarged beaches serve a number of valuable purposes – from providing camping space for river-rafters to creating backwater habitat for native fish populations. The enlarged eddies and pools enhanced by those bigger sandbars also encourage the growth of riparian vegetation that provides habitat for birds and other wildlife. 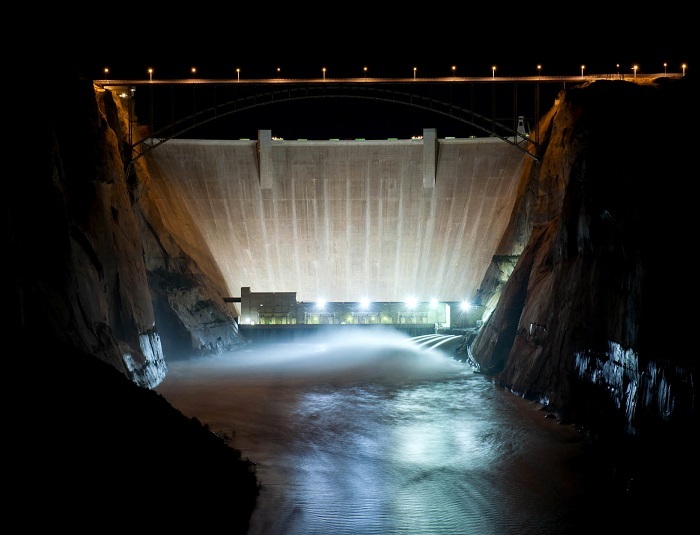 The upcoming “HFE” release is the first under the newly minted 2016 Record of Decision for the Glen Canyon Dam, which provides a framework for adaptively managing Glen Canyon Dam over the next 20 years. The goal of the “ROD” is to create certainty and predictability for water and power users while protecting environmental and cultural resources in Grand Canyon National Park and the Colorado River ecosystem. The high-volume water release experiment, meanwhile, is a component of the 1992 Grand Canyon Protection Act, which mandated that Glen Canyon Dam be operated in a manner that protects the values for which Grand Canyon National Park and Glen Canyon Recreational Area were established. The first-ever release was conducted in 1996. Known as the Beach Habitat Building Flow, it was designed to mimic the dynamics of a natural system, including building high-elevation sandbars, depositing nutrients, and restoring backwater channels. Given its unprecedented mission – imitating the sediment-rich flood conditions of a pre-Glen Canyon Dam river – the HFE releases have been genuinely experimental, adapting and changing as more data were accumulated about their impact. Release times are scheduled to coincide with the periods that its tributaries – the Paria and Little Colorado rivers – have deposited their largest volumes of sand into the Colorado River. A lot of concerns factor into the timing of HFE releases. One of the primary concerns is avoiding spreading the seeds of non-native vegetation, such as tamarisk, whose seed production generally occurs between April and September. The effort to improve habitat for native fish species is a work in progress, too. Early on, researchers found that the intensity of the releases actually worked to expand habitat for non-native trout, which fed on rare native species like the humpback chub. These discoveries have been the cornerstone of the “adaptive management” strategies adopted by the Department of Interior for the Glen Canyon Dam. The USGS researchers – considered the architects of the HFE — have had to change their strategies of making maximum use of the HFE releases by changing and adapting as new scientific findings improved their understanding of how HFE releases affect the Colorado River ecosystem. The releases by the Department of Interior are conducted in consultation with the Colorado River Basin States, including Arizona, as well as with Native American tribes, federal and state agencies and with input from Glen Canyon Adaptive Management Program stakeholders. The Department reports that the HFE releases will not impact the total annual amount of water released from Lake Powell to Lake Mead in water year 2019.